Devon isn’t a county I had ever visited before. I’d heard so much about their beautiful beaches, rolling countryside and ideal climate, but I’d just never really put much focus on travelling within the UK. So when we spent 10 days camping in South Devon in August, I finally got to experience a taste of the South West. Our trip to Devon, along with Mat’s parents, brother, sister-in-law and two nieces, was one that his family had made many times before. 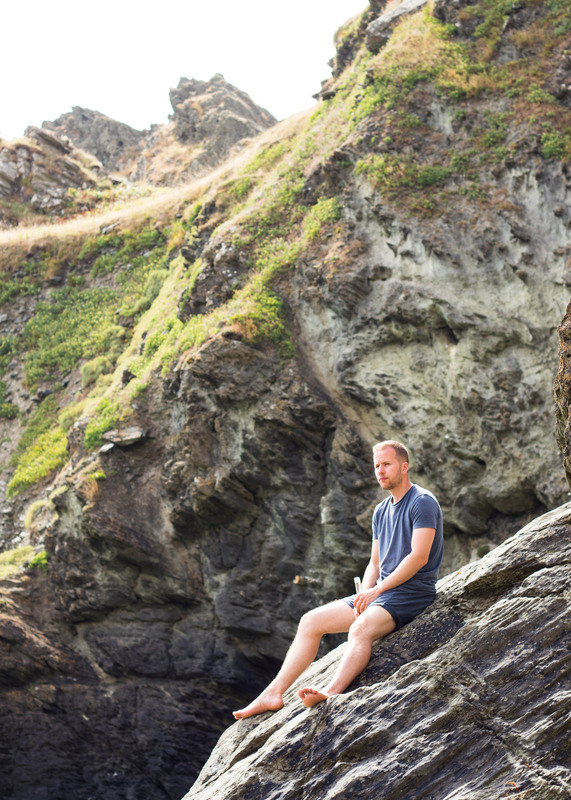 Visiting places like Kingsbridge, Salcombe, Dartmouth and Beesands took them all on a trip down memory lane, reminiscing about their childhood holidays (both for Mat & his brother and their mum, who also visited as a child). One place that was top of the list on our holiday itinerary though, was the elusive Sandy Cove. Of course, not its real name, but we somehow managed to track down where it was from a few Google image searches. I was promised a challenging walk down (& back up! 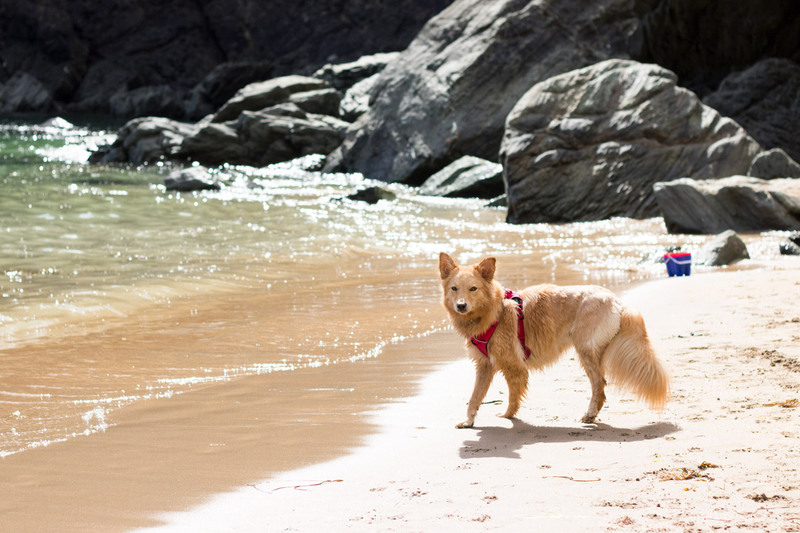 ), but also a little slice of heaven with white sand, clear water and most importantly of all, no restrictions for our furry friends! 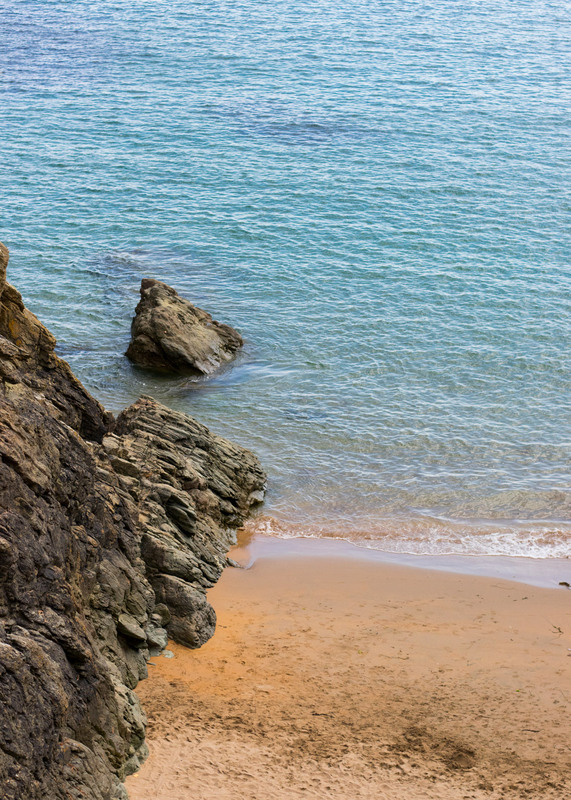 Nestled along the South West Coast Path, these tranquil little beach coves are located about a mile away from the local village of East Prawle. If you need a toilet stop and food/supplies, there’s a toilet block and little cafe & shop on the edge of the village green in East Prawle. 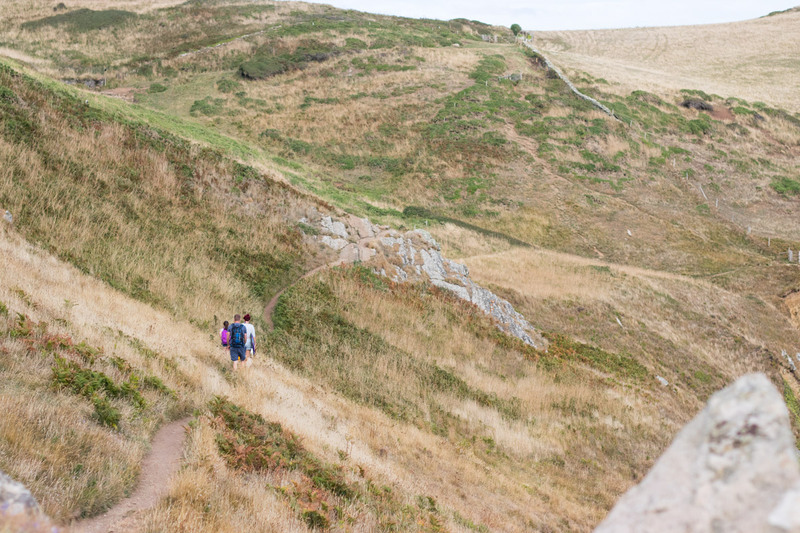 When we went down there for the second time on our trip, we grabbed some sandwiches, drinks and cakes from the cafe to take as a packed lunch on our walk along the coastal path. Definitely recommend this as a bit of a treat! From East Prawle, head to Prawle Point car park, which is owned by the National Trust. 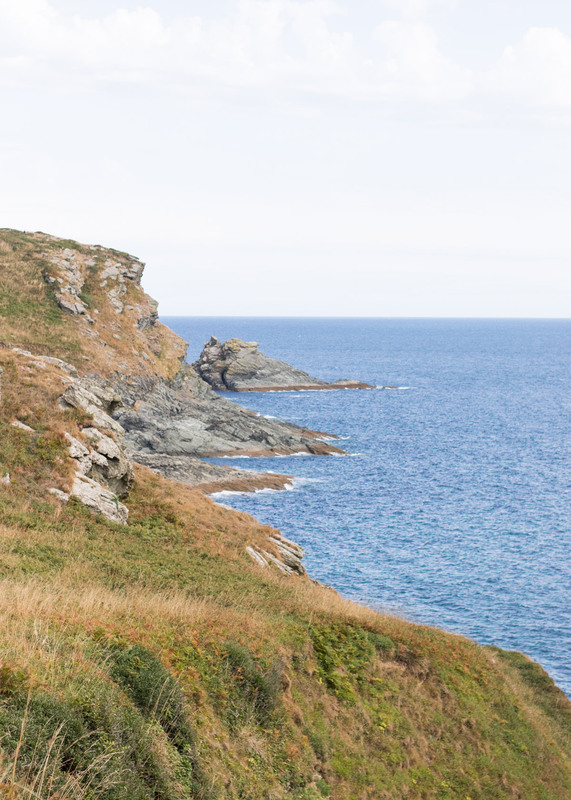 You can walk from the car park to Prawle Point, which is a great way to start the walk with amazing views across the coast. Elender and Macely cove are about a 20 minute walk away, following the South West Coast Path and heading right from Prawle Point. The photos above are from the gentler part of the walk down to the coves. The final descent is steeper and rockier, so make sure everyone has sturdy shoes on (definitely leave your sandals/flip flops in your bag!). Mat & I wore comfy trainers and they were fine. 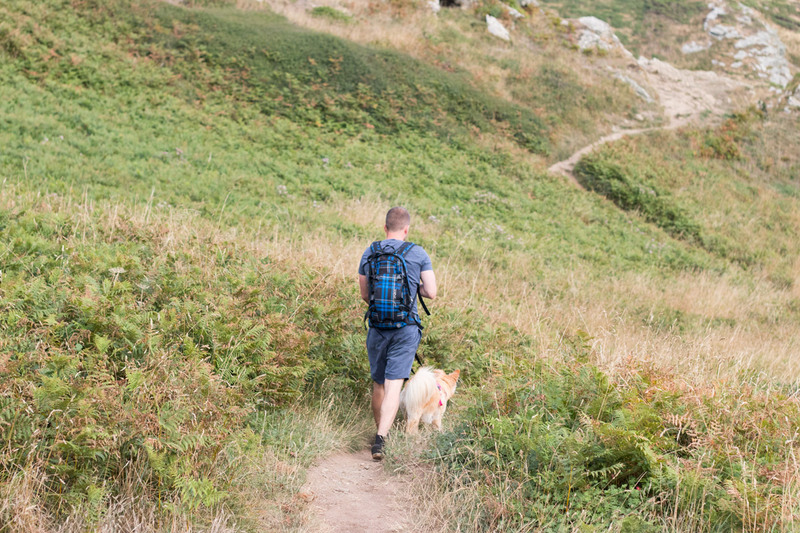 Also, keep a careful eye if you’re heading along the path with children and make sure any dogs are kept on-lead until you get down to the beach. 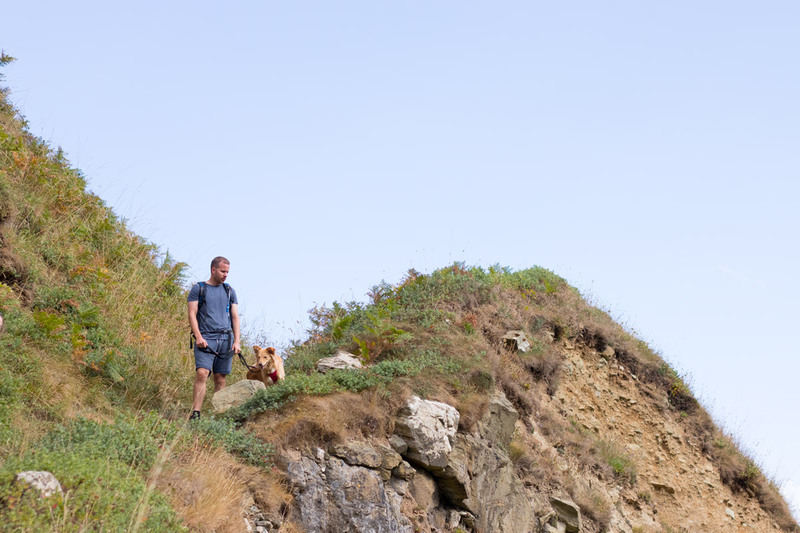 There are some dangerously steep cliffs along the way, so it’s better to be safe than sorry! Elender Cove was actually at high tide, so we couldn’t get down to it on this particular day, but we spotted it on another day and it looks equally as tranquil as Macely Cove. When we initially got down to Macely Cove we realised it was quite a high tide (note to self: check local tide times), so there wasn’t as much room for everyone as usual. That being said, there were only a couple of other groups at the beach and some of them left after an hour or so. It was also a super hot day, but thankfully we had plenty of sun cream, a beach shelter for the dogs and some ice cold drinks from the cooler. There’s no facilities down at the coves, so make sure you have plenty of snacks, drinks and whatever else you might need. 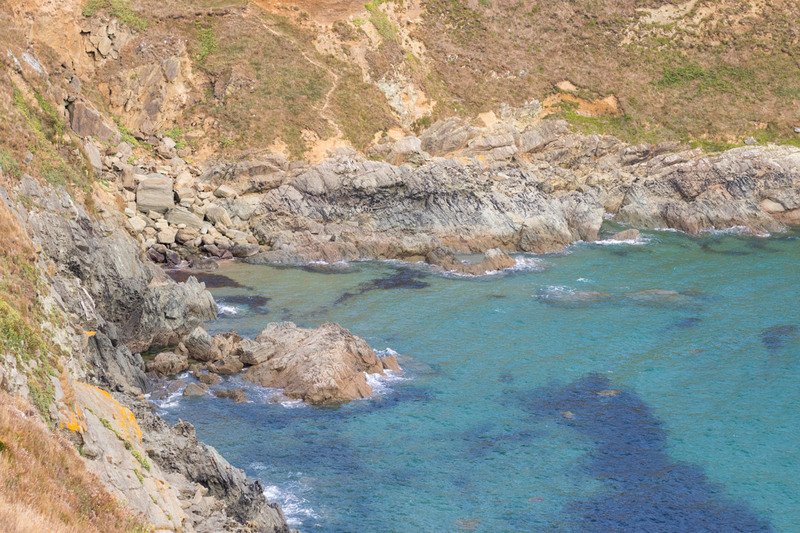 Once you’ve settled in the cove, you can sunbathe, take a dip in the beautiful turquoise sea, scramble on the rocks or find some of the hidden caves. 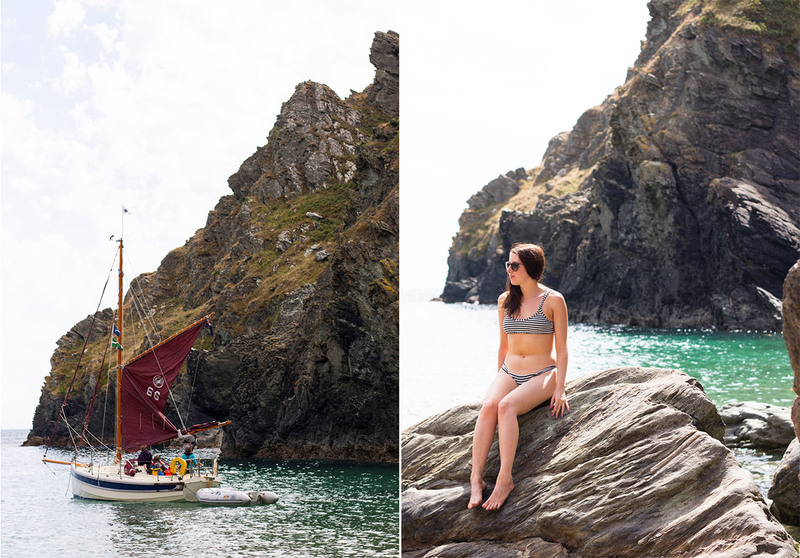 It’s such a different experience to being on a commercial beach, you just have to try it if you’re ever in South Devon. Where’s your favourite beach in the UK?